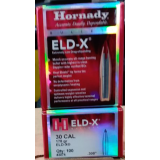 With these Hornady bullets, you’ll get a full supply of 110-grain expanding full metal jacket projectiles - just about perfect for autoloading .30 Carbine rifles. 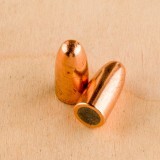 These projectiles promise smooth feeding from the magazine to the chamber, and will deliver less fouling in the barrel. 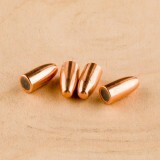 Coming out of the barrel, they are fast and accurate, helping you get the most from every trip to the range. 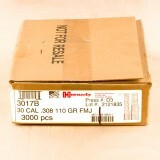 If you go through lots of .308 ammo, order this 3,000 bullet box from Hornady and you can reload your cases with top-quality projectiles. Hornady has a well-earned reputation for innovative designs and outstanding engineering. They are one of the leaders in center and rimfire cartridges, and carry a full selection of reloading bullets, cases, and whole rounds.